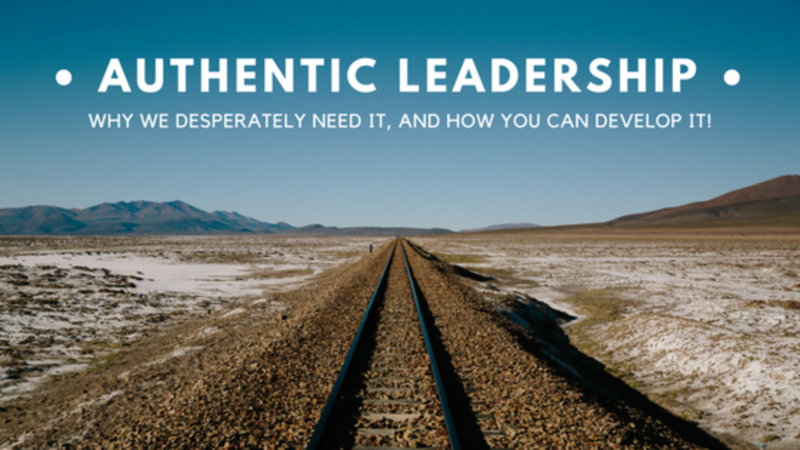 Authentic, High Impact Leadership - Where are the leaders? If you are successful in work and in life. If you are an achiever, a doer, a thinker, a giver; then you need to think about how you can extend that good work beyond where you are now, and begin to both elevate and expand your overall impact. Because nothing less than our world, and our future are at stake. We have cultivated a culture of individuals and groups who are both quick to cast judgment, and short on creating solutions. We have created global vehicles for information sharing and knowledge, and yet we tolerate them being employed in the service of hate mongering, caustic commenting and name-calling, and pointlessly nasty memes. I saw a lovely little message on a church billboard the other day, "Tweet others, as you want to be Tweeted yourself". If only we could all pay attention to such a simple concept...(since the biblical version doesn't seem to have much impact these days, maybe this modern translation will). Leaders don't pile on like followers onto the dog pile of verbal rubbish. Leaders don't pounce like cats on catnip for the chance to humiliate a rival, or risk their organization's integrity over a 140 character message. There is a little more to leadership than just that. True leaders are lovers of questions, not mere conclusions. Leaders ask questions to get to the answers, and the more they ask questions, the more that they realize how small and connected the world truly is. An 'asker' of questions is rarely a 'jumper' to quick conclusions; for they understand how nuanced and complex the world truly is. Leaders need people to think, not just respond. Leaders find ways to challenge the thinking in those they seek to lead, as this is the path to growth. We need people who are better at asking questions, than jumping to conclusions. We need people to ask the right questions. We need people who are willing to challenge their followers to think! We see great leaders peppered throughout various industries and sectors, but not in the overarching governance that is truly navigating the shifting tectonics of our political realms. We need positive conversations for growth. We need questioning and curiosity, as those are the tools of people who truly want to understand. And understanding is the foundation of real leadership. Half-cocked decision-making, and conclusion drawing is not leadership. Delegation in the absence of facts is not bold, it is reckless. Now is the time when we will see real leaders emerge. Because the reckless abandonment of truth, empathy and thoughtfulness is against the grain of everything real leaders understand to be effective. You can’t command and control your way to success. Yes, you might subdue. Yes, you might paralyze. Yes, you might provide shock value. But a High Impact Leader understands the subtleties of influence, and the power of creating allies and champions in support of your cause. Whether corporate or public sector, the same principal applies. Successful leaders gather momentum and support, as they generate trust and engagement in their cause. When you can only see as far away as your own two feet, you are primarily concerned with where you will take your next step. You don’t have the ability to look beyond your own feet. You can’t make decisions that anticipate what’s to come as you are too busy worrying about what’s going to trip you up next! When your focus is on the destination in the distance, your eyes are lifted, your vision is broad, your ability to identify obstacles and opportunities along the way is amplified. Leaders of depth and discernment understand that to bring success to their organization, to their people, to their clients, they need to have perspective. They need information, and they need the bandwidth to consider and act upon it. A High Impact Leader is someone who understands the necessity of gathering information, who bears witness to what’s going on around them, and who has the courage to employ their personal best in the service of pushing their agenda forward. A High Impact Leader is someone who understands the need to “honor the struggle” (thanks Brendon Burchard), someone who perseveres in the gathering the right information, the right people, the right tools in the service of getting where they need to go. Regardless of a leader’s style, there are fundamental traits that make a leader impactful. Failing to demonstrate these traits is undermining both to the leader, and most certainly to their teams and organizations. As you can see from these traits, very few are 'cut and dry'. They are in fact, quite the opposite. High Impact Leadership involves the art of subtlety, and high levels of emotional intelligence. It involves having the courage to take bold action, and to put ego aside and make course corrections as needed. No, leadership is not as easy as it looks. But I hope that you can see some common threads in each of these traits. Authentic and impactful leaders are ultimately individuals who have endeavored to become highly attuned to their own strengths and weaknesses, who have high levels of awareness and empathy, and who make a practice of acting in sync with both their hearts and minds. High Impact Leaders do not hold their organizations hostage to their own shortcomings or weaknesses. They know when and where they need help, they know where they are weak, and they understand that they must create a robust organizational fabric to support their agenda. Real leaders step into the discomfort. They acknowledge it and they move on. The need is clear. The need is real. The world needs men and women of conscience, men and women with courage. The world needs High Impact Leaders to boldly shepard this world step by step, out of the muck, and into the bright future that is just beyond the horizon. I am personally optimistic about that future, because I know the power of human innovation, human compassion, and humanity in general. When we choose to indulge the better part of ourselves, nothing can stop our species. Whatever your belief system, surely you can agree that humanity is miraculous. Humans and our communities have accomplished incredible feats, have created immeasurable beauty. This chapter of dysfunction is a sad detour on our way to becoming what we were all meant to be! I am looking for High Impact Leaders. The world is looking for hope, and humanity. Many of you reading this are the very ones I am speaking to! You are the ones who can make the difference, who can step up when we need you, who can challenge yourselves to make bigger, bolder choices that will help all of us! After all, if not you, then who?